After showing you all the blog planner printables that I have created, I am back to show you how I keep them all together in my blog planner. The binder that I use is from Martha Stewart and is the large binder. It is quite a large binder but it’s great if you want to use plastic wallets etc. On the front and side, I added a Martha Stewart small book plate, so I could add a label with blog planner on it. 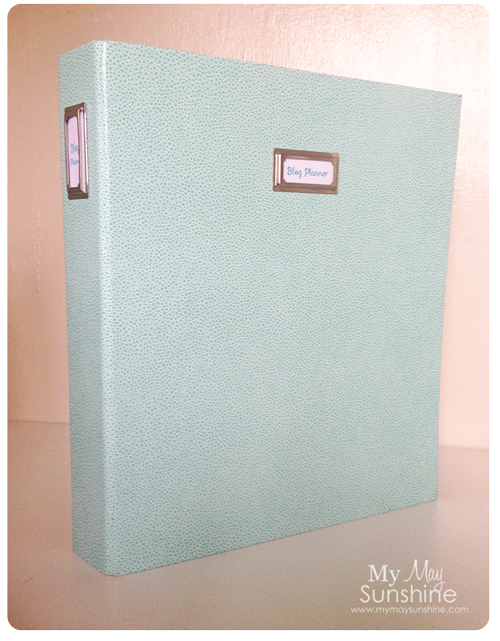 Inside, I added a title page with blog planner written on it before all the printables. I put a large plastic pocket at the front so that I could put my pen pouch and labels in to keep them organised. I added some washi tape to the sides of the plastic pocket to jazz it up a bit and to hide the black seam where the holes are. This is what is in the large plastic pocket. I have some extra tabs in case I want to access to something easier, a notebook, a sticky note pad and a pouch with my pens and pencil. To separate the printables, I added a piece of card and a Avery notetab which I then used my label maker to write out the name of the printable and added it to the tab. I bought the notetabs from Ebay and managed to get them in a bulk load very cheap but they are like these from Staples. I have been using the calendar to record the blog posts that I have posted and it is great to see when and how often I have posted. 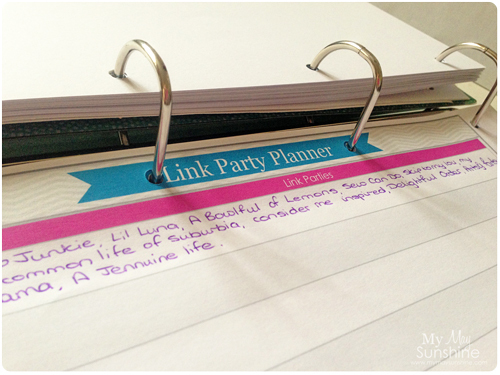 Using the link party planner is great to keep a check on where I have added a post. I am loving the social media planner as it’s great to record where you have posted about a blog post. These are the supplies I used to create the binder. 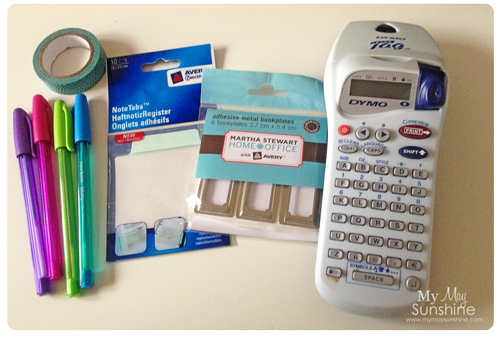 The label maker I have for years, The washi tape and the note tabs were from Ebay and the book plates and pens were from Staples. 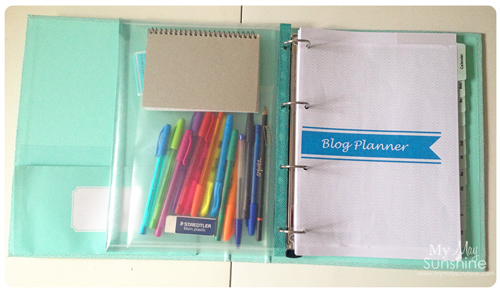 As I added the blog planner cover to my binder, I decided to add it to the list of printables that you can download. I am really loving my blog planner and it’s layout. The binder is quite big but great to keep all the printables and the plastic pocket together and has plenty of room to add more papers to it. 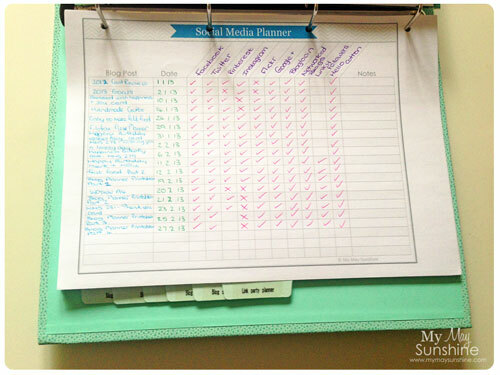 Are you the type of person that uses a planner or would rather use a digital version? Do you have any other ways to keep track of you blog? I would love to hear you comments. Blog Planer Printables – Part 1, Part 2, Part 3, Part 4. This is so cool! I need to start one of these for my blog! I need help remembering where I've linked what.. Thanks so much for visiting and pinning. These are awesome ideas! I'm in the process of putting my planner together since I'm a new blogger as well, and your information is very helpful. This whole series really is great. You've done such an awesome job putting this all together! 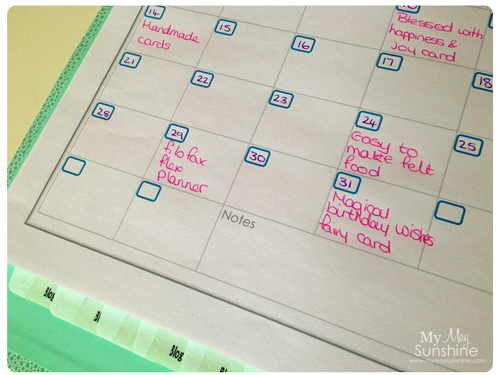 I've created my own blog planner too and love it. That said, I really like your social media checklist. May have to "steal" your idea. Thank you so much for sharing! I'd love to have you link this to Titus 2 Tuesday this week on Cornerstone Confessions.. I hope to see you there. This is beautiful, Louise! 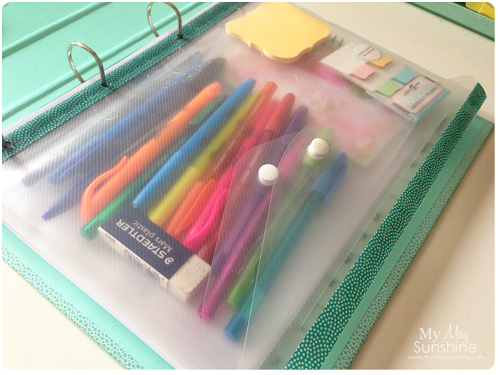 What a great way to stay organized! I found you at A Bowl Full of Lemons– thanks for sharing!! I am finding the social media planner really useful. Thanks. Linked up. This is nice. Needful. Pinning. Add What to do Weekends on Thursday at Crafts a la Mode. ha haha … I need that page also. Take care, Linda I'd love to have you share this at What to do Weekends… Following you on several platforms. Found you via A Bowl Full of Lemons. Love all your great ideas! Thanks for sharing! Hi Louise! 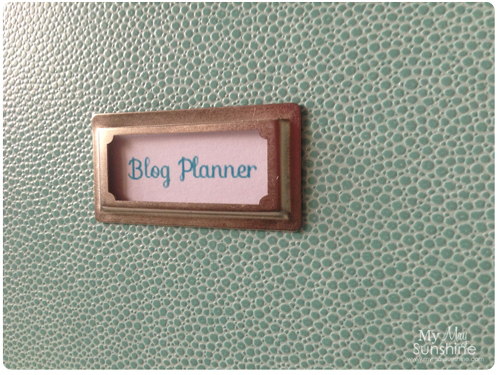 Your blog planner is really cute. I don't know what I would do without mine. I'm so glad to have found this! I've been thinking about adding a blog section to my home management folder and this is perfect. Pinned for later! I love it! Especially the social media part!! Pretty, pretty! 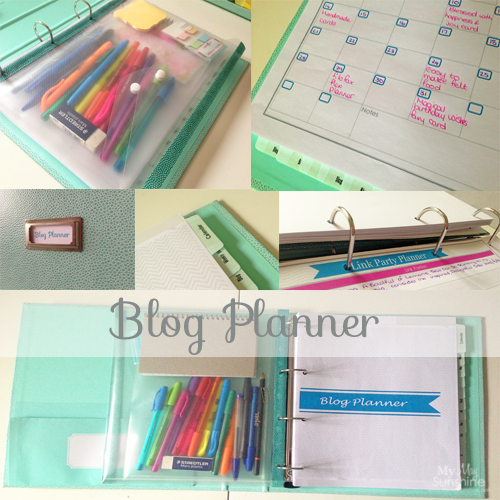 I need a dedicated blog planner. Right now I just incorporate it into my regular calendar. Love it, and not just because I use the exact same binder for the same reason 🙂 Great minds think alike. 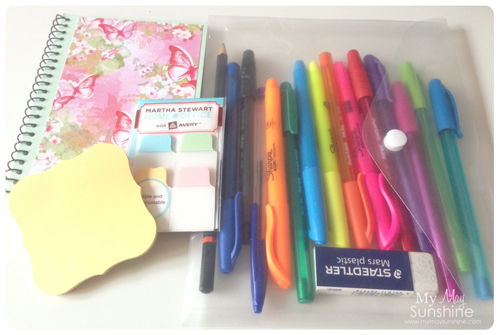 Thanks for sharing it with us on A Crafty Soiree, I love seeing how other people stay organized. Totally making me want to get more organized right now 🙂 Love it! Thanks so much for sharing at Mom On Timeout! I love this! You are so organized. I clicked through to your page from the Simply Create Linky Party! This absolutely cool and super useful, Thanks so much, I's so like this but for some reason i didn't come up with this hahaha, wow love it, Thank you for sharing this great idea! Hello again Louise, Just came by to let you know that I already made my blog planner 😀 I'm SO happy with this incredible planner. I haven't taken any picture yet but I'll post it soon and let you know, so you see how it worked :D. I changed the colors and the "brand image" to mine, made a couple of extra sheets that I thought it could help me and printed them, I've been using them since Monday and IT IS AMAZING how good it is to have everything so organized. Thank you so much, this was a GREAT share. I am in love with this planner! Just a quick question: What order do you have these in your binder? I'm putting mine together (thank you for the printables) and I am having a hard time deciding what order to put everything in…any tips? The order I have my blog planner is: Monthly planner, Weekly blog planner, Blog post planner, Blog ideas, Blog to do, Blog improvement, Social media, Link party, Blog stats planner, Blog expense, Blog income and blog sponsor. Hope that helps. Thank you so much for sharing these!! This helps me out SO much to get organized. I learned ALOT to. Question for you…. I saw you have Blog Lovin and Networked Blog on your list. (I just signed my website up for both). But what do you do with each blog post there? Do you need to do something? I saw a check mark for them… and wondered if here is more to do here each time I post a blog post. Hello!! 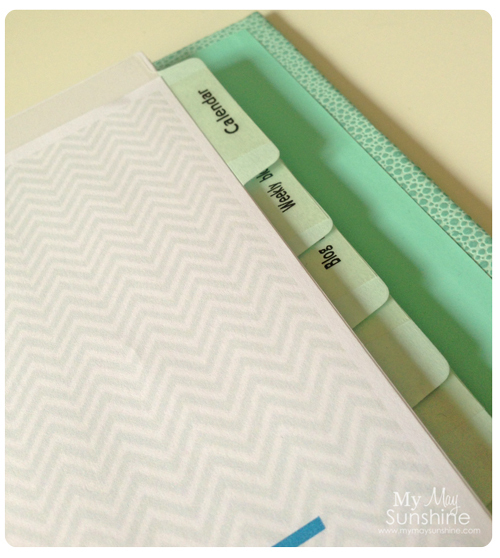 These printables and your binder organization is AWESOME!! WOW!! Thank you SO much for sharing. I am a blogger as well and I found some of the things you do so helpful. I do have a question for you though… I just signed up my blog on Blog Lovin' and Networked Blogs (embarrassed I wasn't already) But what do you do with them on a regular basis after posting a blog post? Do you have to do anything else? Or I'm wondering why you have a check box!! I don't want to miss out on this if I should be doing something. Thank you again!! Thanks for visiting and I'm glad you like the printabIes. I use networked blogs simply to let my blog post to post on facebook and twitter and then blog lovin lets people follow your blog posts in their subscription feed and I follow a lot of others too. Hope that helps. This is AWESOME! I am planning to start a blog for my school's library and this is so helpful. Thanks so much for sharing.